Jon Dickson is finally pro! Check out Blind Skateboards’ latest pro Felipe Ortiz skating down in Brazil. Featuring; Josh Trevino, Sean Henderson, Chris Henderson, Jesse Andres, Ryan Birdman Schiefer, Brandon McCormick, Chris Columbus, Jason Galindo, David Duesterberg, Olli Lilja, Aaron Wical and Jesse Perez. Erik Ellington, Lizard King, Slash, Chad Muska, Shane Heyl and more on the red carpet for the premiere of The Deathwish Video at the Orpheum Theater. 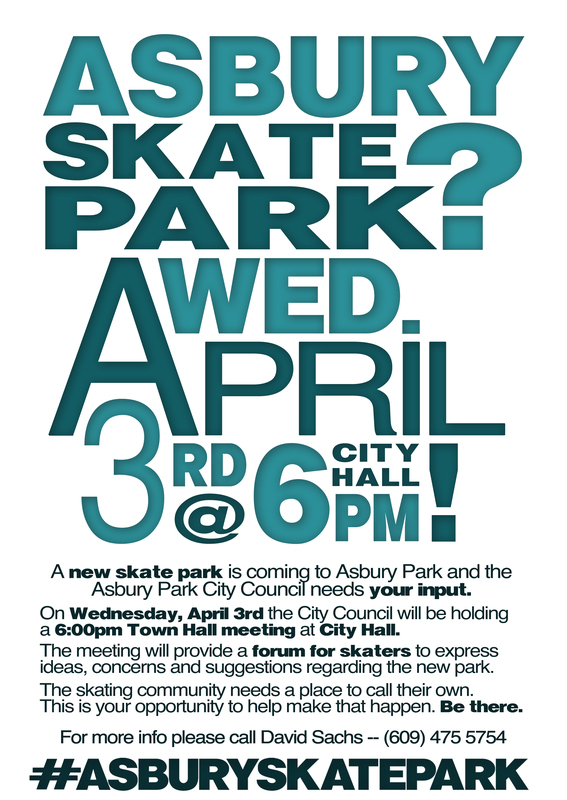 Come out to Asbury Park’s City Hall (1 Municipal Plaza, Asbury Park NJ) on April 3, 2013 and let your voice be heard for the new skatepark that is coming to Asbury. G-tay Teveromtefietsen for the new Bomba Klats video, for more information click HERE. Joey Carnera gets some lines at Glen Haven Skatepark. Promo for Trevor Colden’s new exclusive colorway Varsity Mystery deck only available at Active.